Why is everyone choosing fabric displays? Have you been to an exhibition lately? Noticed how more and more exhibitors are switching from roller banners and magnetic display kits to next generation fabric displays. 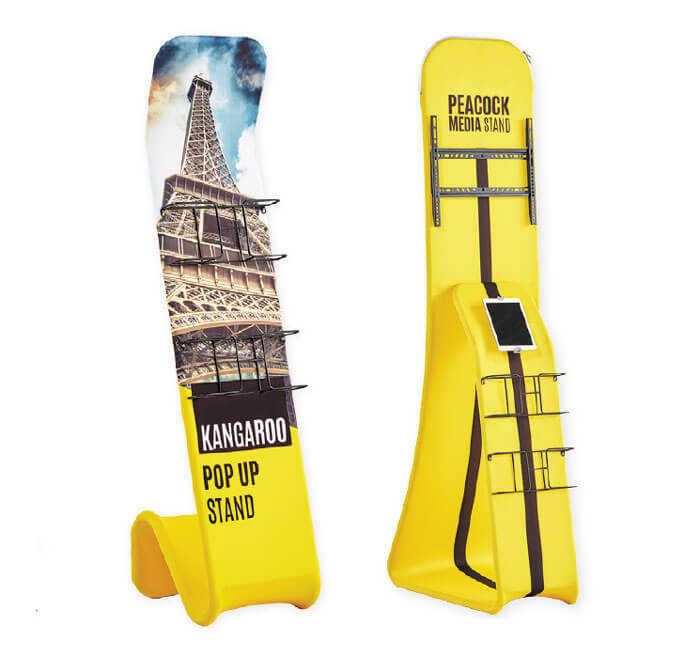 Our fabric displays are made from a strong, lightweight, aluminium frame with a stretchy fabric cover, which is printed front and reverse. 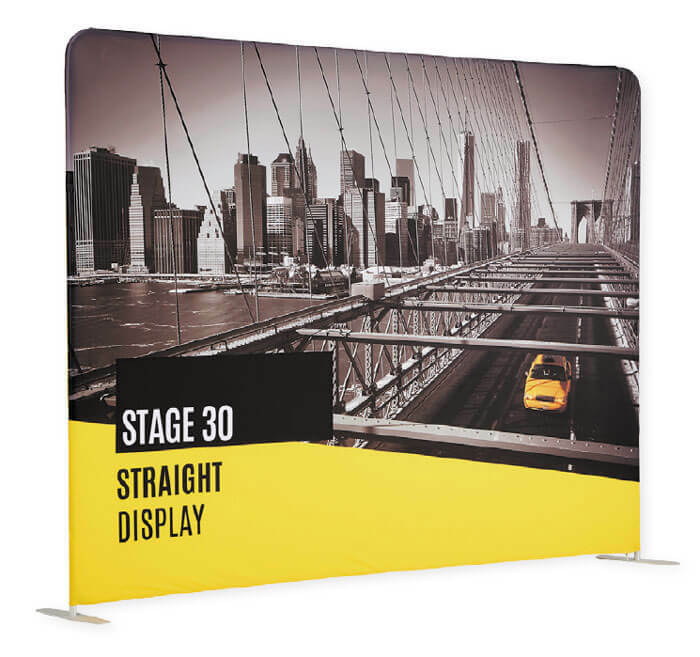 They are perfect for defining an exhibition area or dividing open office space. The cover is one continuous graphic which completely eliminates the problem of visible join lines commonly encountered on traditional multi-panel exhibition backdrops. 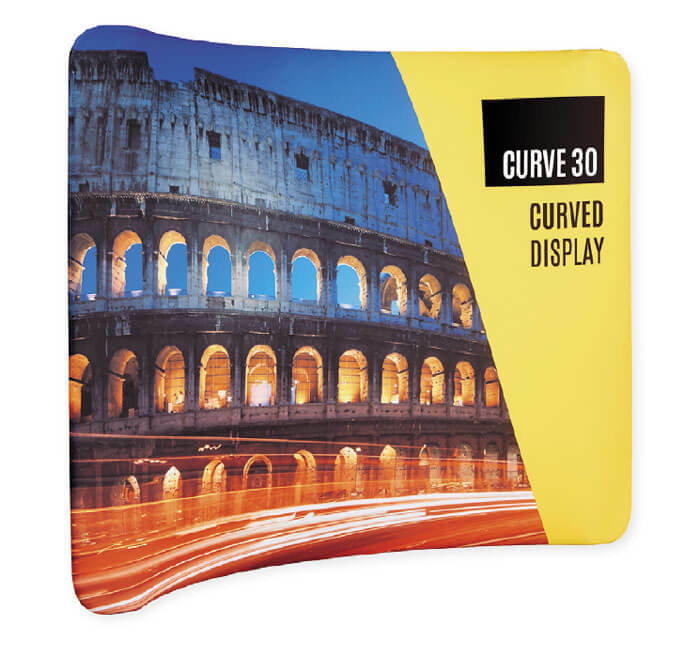 New direct-to-fabric printing technology has made these within the reach of every business. You don’t have to worry about trying to line up multiple panels – the graphics are continuous and can be absolutely massive. In fact, the bigger they get, the better value they become. LW design are your local printing.com and Nettl studio. We are connected to a sophisticated ink on fabric manufacturing hub. 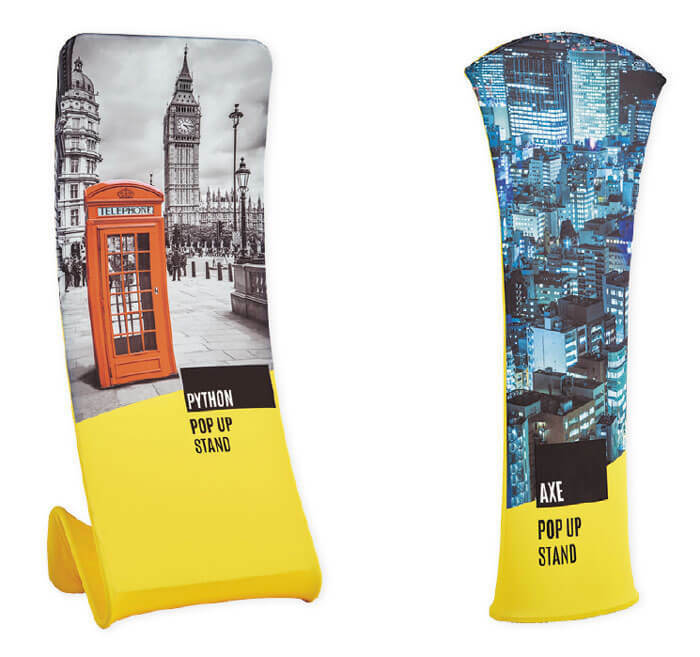 We print and stitch all our displays in our UK factory and ship nationwide.